Sad . . . another talented and apparently tormented person succumbs to addiction and perishes with the needle still in his arm. 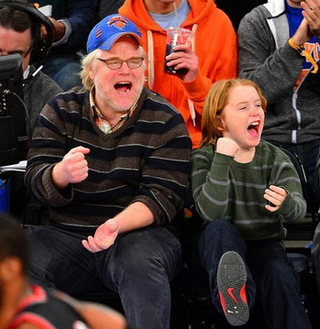 The picture above is Hoffman and his son at a Knicks basketball game. He was also in one of the best funny movies ever, The Big Lebowski. "For me, acting is torturous, and it's torturous because you know it's a beautiful thing. I was young once, and I said, That's beautiful and I want that. Wanting it is easy, but trying to be great — well, that's absolutely torturous." That's Philip Seymour Hoffman, who was found dead in his apartment earlier today, talking to Lynn Hirschberg in a 2008 New York Times Magazine profile. The actor was known for the depth of his characters as well as his range. 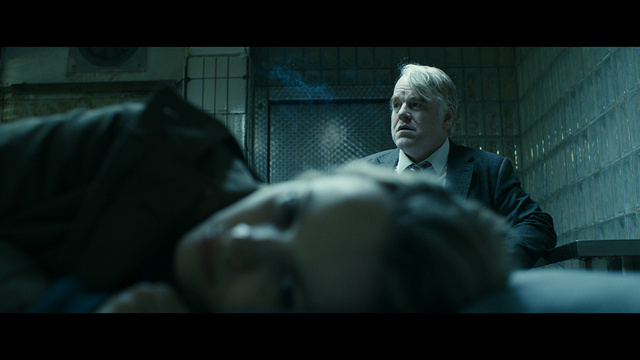 Here are some of my favorite Hoffman performances. Share your favorites below.